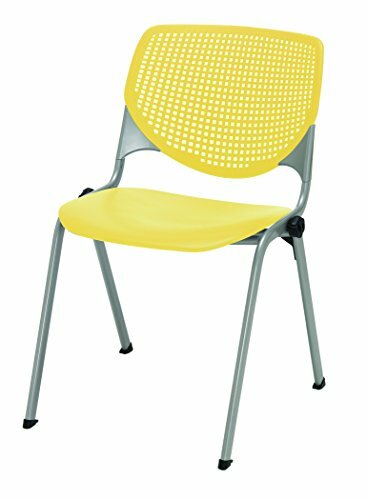 This attractive and comfortable chair is the perfect fit for almost any application reception areas, guest or side chairs, training / conference rooms or any multi-use application. The ergonomic perforated back allows for enhanced circulation, while the radius conforms to your back for maximum comfort. The chair offers a contoured extra wide seat pan and a 400 lb. weight capacity to provide comfort and accommodate all sizes. Built-in ganging device allows for continuous rows. The 2300 is one of most complete stack chairs on the market. It's just plain KOOL.